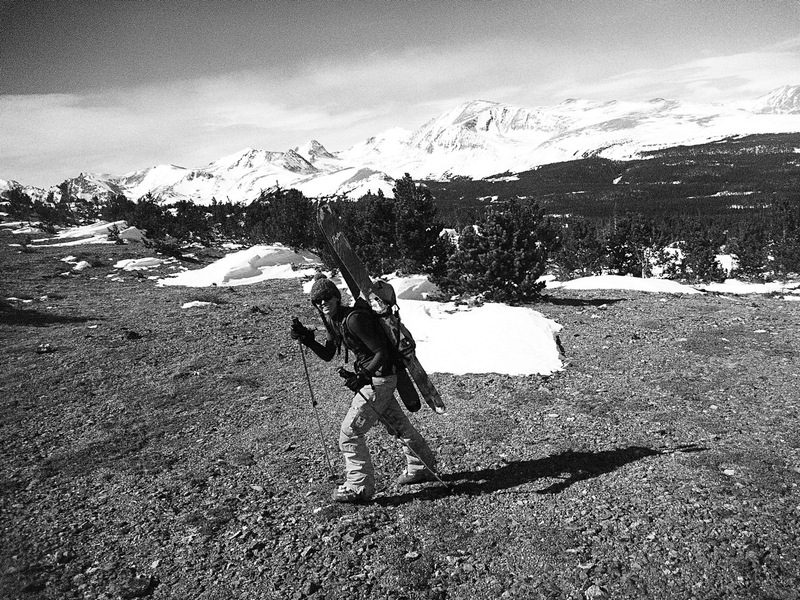 When one heads up the area of Niwot Ridge, finding snow can be an adventure. You see, the wind blows here. A lot. Some areas – like the bowl we finally skied – are deep. And some areas, completely scoured. 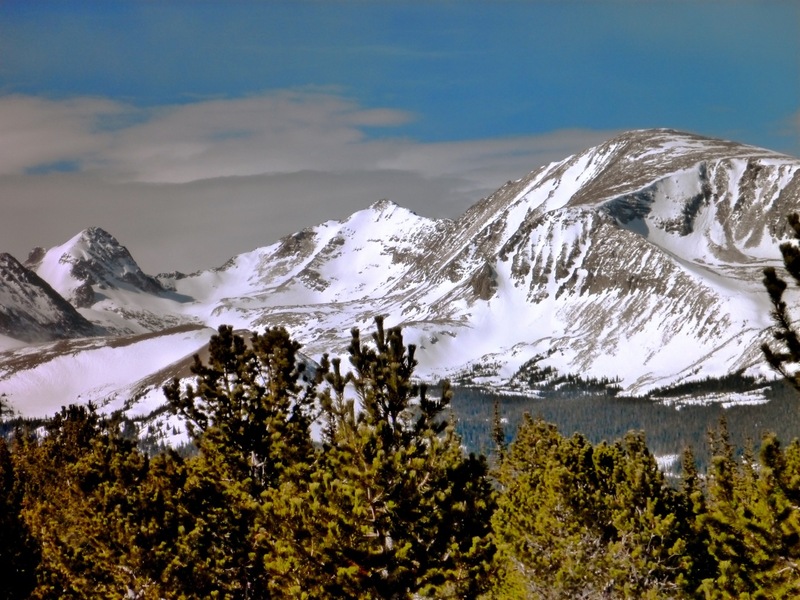 Niwot Ridge is one of the windiest places in the world, leaving it a baren land of crazy-shaped snow drifts, open ridges and then, where the wind is blocked, pristine powder. It's a fun place to go. It's warm out right now. The smell of pine permeates the woods. It'll get cold again, but when it's nice out, it's a good chance to go to the place where the wind blows. And check out the spectacular peaks and massive deposits of snow in the big mountains that we will be skiing in two months time. Stella and Elaine working their way up to the ridge. Plenty of snow down low for skinning. Three of my favorite spring skiing peaks, from left to right, Toll, Paiute and Audobon. Soon. 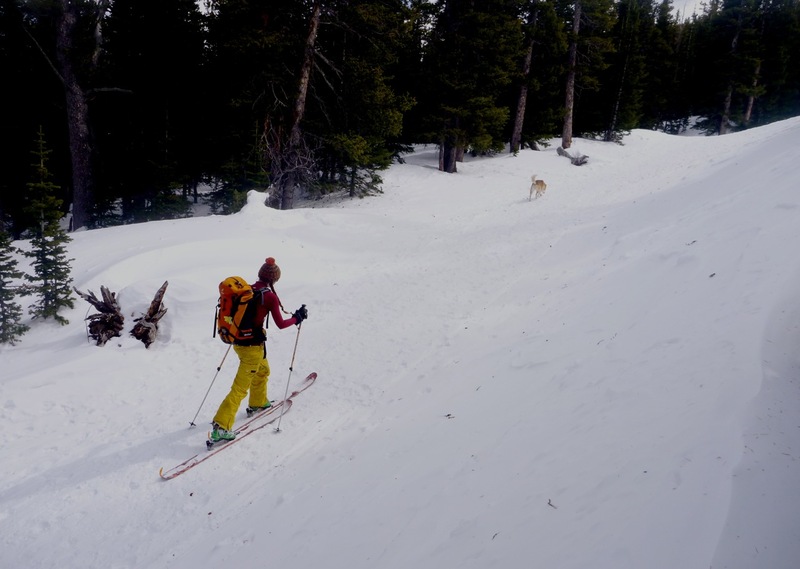 When we got up higher, we found a land that was wind-scoured, so we tossed the skis on the pack and continued up, around the ridge, in search of snow. We did openly wonder why we were walking across this big grassy field when there is clearly tons of snow just to the west to ski. 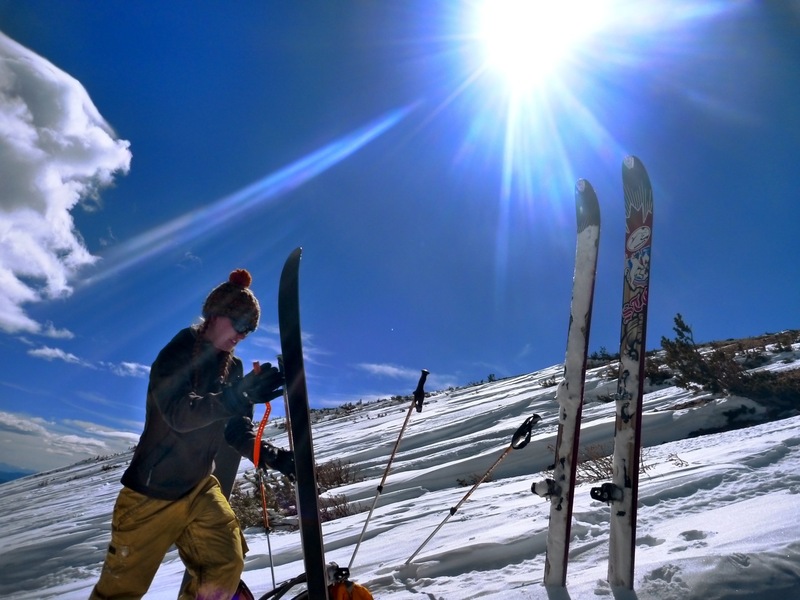 Another week of warm temperatures, and we may just ski that stuff. Finally, snow, and the bowl we planned to ski. Warm days up on the Ridge are rare. The snow down was a mix of hard pack, crust and some powder. Just fine for a lazy Wednesday tour above timberline. 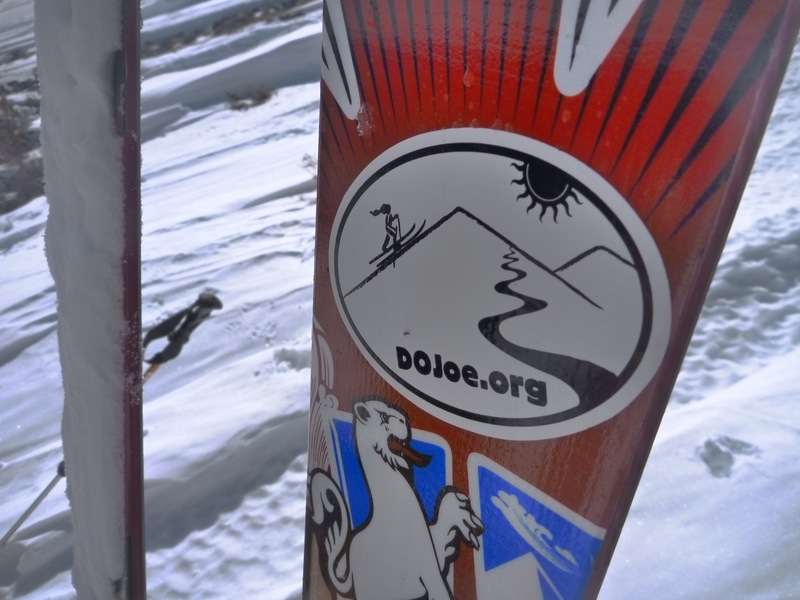 Sporting the DoJoe sticker with pride! 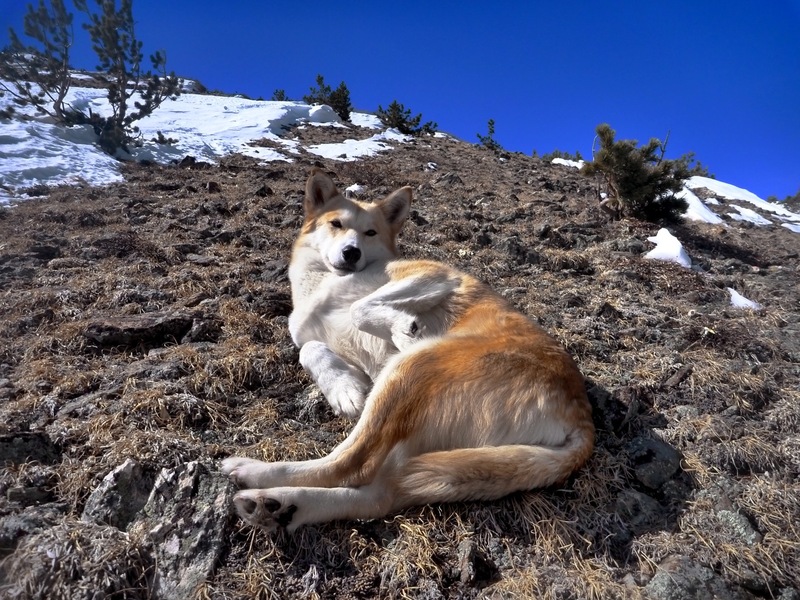 Stella stressing out above timberline!